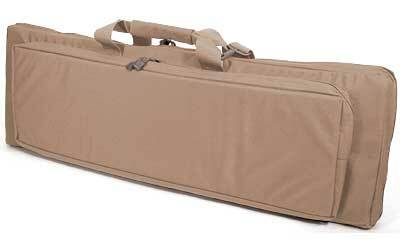 BlackHawk BlackHawk Homeland Discreet Weapons Case 40" - Coyote Tan Made to all the same high standards as the original Discreet Case, the Homeland Security Discreet Case can be used in combination with our hook & loop pouches and can be set up for any mission. Full-opening zipper for shooting mat configuration. Dimensions: 40" x 2" x 12" Note: These hook & loop pouches can also be used with many modular hook & loop BLACKHAWK!® cases, attaché cases, modular range bags, PMG gear bag, etc. They provide excellent versatility and are adaptable to your choice of case or bag. Made to all the same high standards as the original Discreet Case, the Homeland Security Discreet Case can be used in combination with our hook & loop pouches and can be set up for any mission. Full-opening zipper for shooting mat configuration. Dimensions: 40" x 2" x 12" Note: These hook & loop pouches can also be used with many modular hook & loop BLACKHAWK!® cases, attaché cases, modular range bags, PMG gear bag, etc. 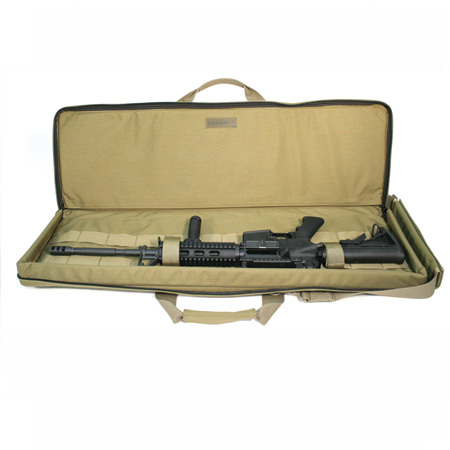 They provide excellent versatility and are adaptable to your choice of case or bag.